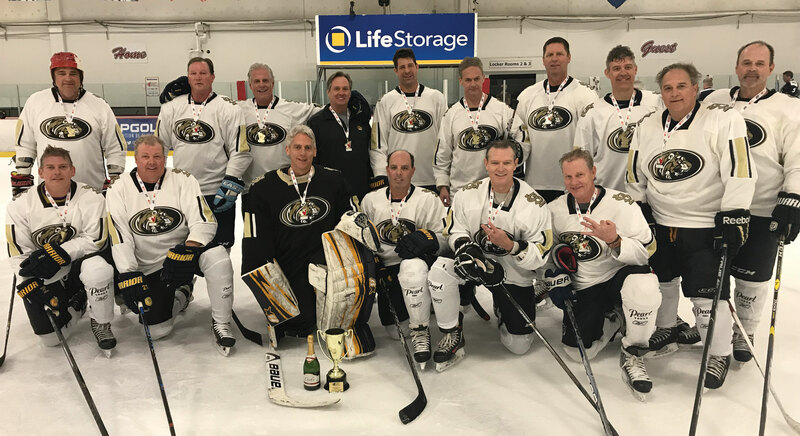 The St. Louis Tigers (from Mizzou fame), sponsored by Pearl® Vodka, brought home its third championship in a row! The team capped the tournament championship game with a 3-1 win over the Pikes Peak Gamblers from Colorado. Donn is a proud member of this illustrious “old man’s” hockey team. The Tigers play annually in the Canadian Hockey Enterprises Las Vegas Classic competing in the “Lefty Wilson” over-40 bracket. This was the Tigers’ seventh overall championship throughout their eighteen-year stretch of going to this tournament. The team went 4-0 this year and is 12-0 over the past three tournaments. Most of the guys on the team are between the ages of 50 and 65. They all still skate together weekly with a large group of former high school and college players. Many of the group played against each other in high school over 30 years ago, yet are still friends today and still jeering each other over championships won and lost back then. Congratulations to the Tigers! Time for a 4-peat in 2019!